Harini Laundry Equipments & Services is one of the leading Laundry Washing Machine Manufacturers in Hyderabad. Harini the brand in itself for the commercial Laundry Washing Machines has a fully equipped manufacturing unit in jeedimetla at hyderabad. We have been in this industry of Laundry Washing Machine Manufacturers in Hyderabad for the past 2 decades. At Harini Laundry Washing Machine Manufacturers in Hyderabad we manufacture all knids of laundry equipment like Washing Machines, Ironing tables, Laundry Dryders, Saree Rolling machines etc. 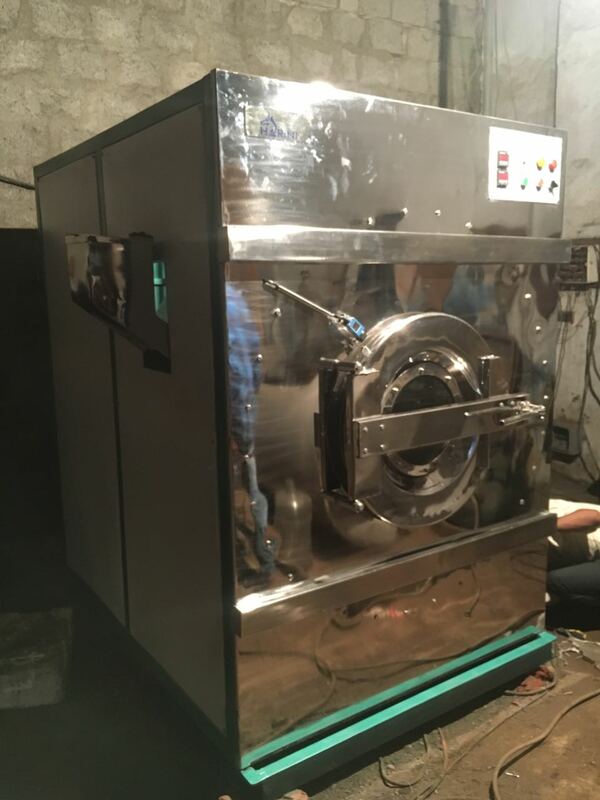 Harini Laundry Equipments & Services the Laundry Washing Machine Manufacturers in Hyderabad manufacturers advanced commercial Laundry Washing Machines both in Horizontal and Vertical Models. We manufacture and deliver the Laundry Washing Machines as per the customers requirements.